Highly-anticipated releases from Don Henley, Gary Clark Jr. and Bruce Sudano, as well as a historic concert featuring guitar icons Carlos Santana and John McLaughlin are out now. 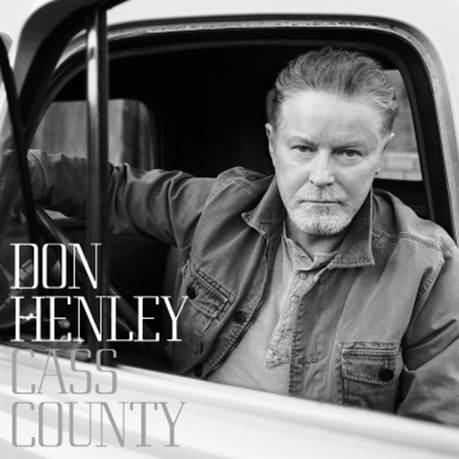 Tell me more: Fifteen years after his last solo album (2000's Inside Job), Don Henley has returned with a full-on country album Cass County (aptly named after the region of Texas where he grew up). The 68-year-old singer-songwriter calls on a star-studded cast of the celebrated likes of Mick Jagger, Merle Haggard, Miranda Lambert, Dolly Parton and Martina McBride across the 16-track deluxe edition on an album that works as a musical celebration of Henley's country influences simultaneously enriched via introspective lyrics that examine love, loss and life with poetic candor. The majority of songs here are mid-tempo or ballads, adorned with acoustic guitar, piano, mandolin, harmonica and pedal steel. The lead-off track, a take on singer-songwriter Tift Merritt's "A Bramble Rose," is a spirited treat with Henley, Lambert and Jagger sharing lead vocals; even more powerful is a poignant "Cost Of Living" where Haggard uses his rich baritone . A reworking of the Louvin Brothers' "When I Stop Dreaming" is a lovely old-time country duet where Henley and Parton blend their voices together beautifully. The album closes out with a great Eagles-styled country rocker, "Where I Am Now" with Henley celebrating his rewarding life. A key point here; definitely purchase the deluxe edition of Cass County with its four essential bonus tracks. Information: donhenley.com. Tell me more: Edgy and smooth, eclectic and experimental, Gary Clark Jr.'s The Story of Sonny Boy Slim is not a conventional listen. It is, however, one of the best albums of 2015, and is bolstered by Clark's heavy contributions on lead vocals, guitar, bass, drums and keyboards. Fans of the Austin, Texas native's Jimi Hendrix-meets-Stevie Ray Vaughan guitar-steeped blues rock will find that sound here, but it is masterfully blended with soul, R&B and gospel. For example, Clark delves headlong into heavy blues-rock on both "The Healing" and "Grinder," but then dives into '70s soul territory with his sweet falsetto on "Star" and via the '50s-flavored ballad "Our Love." A mixture of retro- and genre-mashing tunes follow including gospel-folk-blues ("Church"), R&B (the horn section-enhanced "Hold On," modernistic "Wings"), and funk rock ("Can't Sleep"). Everywhere Clark's guitar play is a marvel. Information: garyclarkjr.com. Tell me more: Guitar greats Carlos Santana and John McLaughlin performed a historic concert together at the Montreux Jazz Festival on July 1, 2011, blending rock, jazz, prog-rock and blues that is now available on the two-disc audio CD Invitation to Illumination – Live at Montreux 2011. The concert features most of the selections from the guitarists' 1973 album "Love Devotion Surrender," and other material that allows the players to showcase their talents. A creative instrumental medley where they rework Bob Dylan's "A Hard Rain's A-Gonna Fall," Led Zepplin's "Stairway to Heaven" and other works together is an early highlight, as is the dazzling "Vuelta Abajo" and "Vashkar." Later in the set, they artfully trade and mirror licks on "Venus / Upper Egypt." Information: eagle-rock.com. Tell me more: On celebrated singer-songwriter Bruce Sudano's newly-issued album The Burbank Sessions, a winning mix of uptempo roots rock, blues, jazz and other styles serve to enhance songs that boast arrangements that are creatively steeped in the rich American songwriter tradition. Among the wonderful songs offered up on the seven-song disc are the genre-blending "One Beautiful Life," reggae-tinged "These Shoes" and buoyant rocker "Why Aren't You Here." While Sudano (who has penned hits for his late wife Donna Summer, as well as Michael Jackson, Dolly Parton and Reba McEntire) and his Candyman Band can gracefully fire away with power, they also offer up decidedly nuanced material (notably the ballad "September In Your Eyes" and heartfelt "Alone") that showcases Sudano's wide-ranging powers as a singer and songwriter. Information: brucesudano.com. Don Henley's first solo album in 15 years - Cass County - was released today by Capitol Records and is available now at all music retailers, including iTunes and Amazon, and in the artist's official online store. The Target deluxe edition includes two exclusive tracks - Henley's duet with Stevie Nicks, "It Don't Matter To The Sun," and "Here Come Those Tears Again," which features harmony vocals by Vince Gill and Alison Krauss. In support of the album release, the North American Cass County Tour 2015 kicks off October 3 in Phoenix, Arizona, and each ticket ordered online through the primary ticket outlet will also receive a Cass County deluxe CD. Singer-songwriter Shawn Colvin will open on all the dates. See itinerary below or visit http://www.donhenley.com/events. "After a life in the fast lane, Don Henley is finding his way home," observed Anthony Mason, who profiled Henley for "CBS Sunday Morning" in this feature, which was shot in Linden - the Cass County, TX town where the GRAMMY®-winning singer-songwriter grew up. Henley performed "Too Much Pride," one of Cass County's 11 original songs, on "The Late Show with Stephen Colbert" earlier this week. View his performance HERE. Don Henley recently received the Lifetime Achievement Trailblazer Award at the 14th Annual Americana Awards, which will be broadcast on PBS on November 21 as part of this season's "Austin City Limits." His SiriusXM Town Hall appearance, which aired on Outlaw Country, was moderated by longtime friend Bob Seger and "Don Henley In Conversation with Billy Joel," which took place at New York City's 92nd Street Y, was livestreamed on the Live Nation Channel on Yahoo Screen. Recorded primarily in Nashville, TN, and Dallas, TX, Cass County was produced by Henley and Stan Lynch, who also co-wrote 11 of the songs on the album. It includes guest appearances by Merle Haggard, Miranda Lambert, Mick Jagger, Martina McBride, Trisha Yearwood, Jamey Johnson, Alison Krauss, Vince Gill and Dolly Parton. View the official video for "When I Stop Dreaming" featuring Dolly Parton HERE and the video for "Take A Picture of This" HERE. "Henley has made an album of quietly defiant pure-country modernism...Everything in the music serves the sting and solace in the tales," said David Fricke in a four-star review for Rolling Stone. American Songwriter also awarded Cass Countyfour stars, calling it "arguably Henley's finest solo work" while US Weekly hailed it as "All your ears will want to listen to for the rest of 2015" in a four-star review. NPR, which premiered the album as a "First Listen" in the week leading up to its release, praised it as "true to his roots" and USA Today noted, "the emotional but unsentimental album draws on the music and the land of Henley's youth, but it doesn't dwell there." "From a songwriting standpoint, solo Henley isn't far removed from Eagles Henley, exploring the nuances of lives that play out in a small town ('Waiting Tables'), dreams thwarted by forces beyond one's control ('Praying for Rain') and offering a pointed twist on the good-ol'-days nostalgia that's so popular in country of late ('Take a Picture of This')," said the Los Angeles Times. Cass County is available as a 12-song standard CD and digital album, as well as a 16-track deluxe version, available on CD, digitally and a double disc, 180 gram Vinyl LP. A super deluxe version, seen HERE, includes a 50-page booklet with exclusive photos, collector postcards, deluxe CD album and deluxe Vinyl (2-Disc 180 Gram) and can be purchased in Henley's official online store. A limited number of bundles are also offered, including a T-shirt and 12X12 lithograph. 5. "Take A Picture of This"
8. "The Brand New Tennessee Waltz"
9. "Words Can Break Your Heart"
13. "She Sang Hymns Out of Tune"
14. "Train In The Distance"
16. "Where I Am Now"
3. "Take A Picture of This"
7. "Words Can Break Your Heart"
11. "Train In The Distance"
12. "Where I Am Now"
Visit donhenley.com for more information. Don Henley, both as solo artist and as a member of the Eagles, has received many accolades, including eight GRAMMY® Awards, numerous gold and platinum records and performed sold-out concert tours worldwide. A respected, popular and critically celebrated musical artist, Henley is a founding member, vocalist and songwriter of the Eagles that has become one of the most influential bands in America. Henley's solo career is acclaimed with such hits as Dirty Laundry, Heart Of The Matter, Boys Of Summer, The End Of The Innocence, and All She Wants To Do Is Dance. He was inducted into the Rock & Roll Hall of Fame in 1998, and will receive the 2015 Kennedy Center honors later this year, as a member of the Eagles. Henley's career as a musician and activist continues to evolve. In 1990, he founded the Walden Woods Project (www.walden.org), a not-for-profit organization dedicated to protecting the historic woods in Massachusetts where author/philosopher Henry David Thoreau first championed the concept of land conservation. The Project, celebrating its 25th anniversary has protected vast tracts of Walden Woods from the threat of commercial development, has created a highly acclaimed environmental educational initiative for students (www.worldwidewaldens.org) and maintains the most important library of Thoreau-related research material in the world. In addition, Henley founded the Caddo Lake Institute in his native East Texas, a privately operating foundation to act as an "ecosystem-specific" sponsoring entity, underwriting local wetland science and conservation education including cultural and ecological research and monitoring. Henley also co-founded the Recording Artists' Coalition, a nonprofit, nonpartisan group formed to represent the interests of recording artists. This is a welcome media release and truly celebrates the best thing about last night's Emmy Awards broadcast. 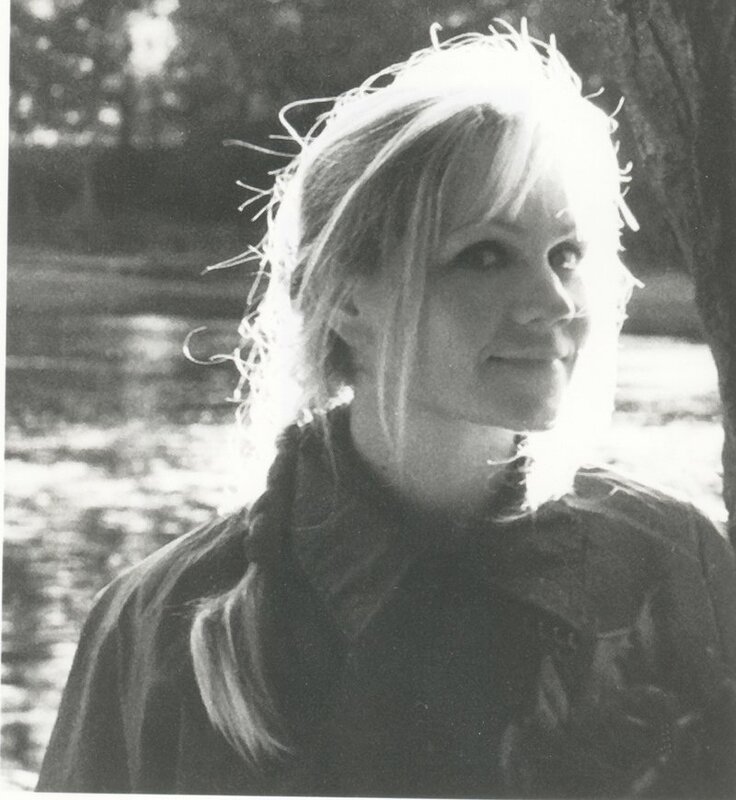 Eva Cassidy, the versatile, much-missed vocalist praised for her emotional range and interpretive skills, returns to the Top 10 of the iTunes Singer Songwriter Chart following last night broadcast of the 67th Annual Emmy Awards. Cassidy, who earned an international audience and critical acclaim following her death in 1996 at the age of 33, was heard singing her signature version of "Over the Rainbow" as accompaniment to the awards show's In Memoriam tribute that honored the passing of major figures in the television industry during the past year. Cassidy's "Over the Rainbow" is the centerpiece of Seattle-based independent Blix Street Records' 1998 release SONGBIRD, which introduced Cassidy to the world. It was in 2001 that music enthusiasts sat up and took notice of Cassidy's compelling way with a song; that was the year that SONGBIRD hit the top of the British album charts and captivated audiences the world over. SONGBIRD has now been certified Platinum in the U.S., and the Eva Cassidy catalog of 10 albums from Blix Street have sold over 10 million copies worldwide. The song is also available on the compilation THE BEST OF EVA CASSIDY, released in 2012. A new Eva Cassidy CD entitled NIGHTBIRD, comprised of the complete Blues Alley concert performances from January, 1996, will be released by Blix Street in time for this year's holiday season. LIVE AT BLUES ALLEY, containing highlights from that nightclub engagement at the legendary Washington, DC venue, was the final album by Cassidy completed before her death. Born in Washington, DC, Eva Cassidy recorded and performed in the area for several years until her untimely death from melanoma in 1996. She left behind a small, but impeccable body of recordings that have been meticulously curated and compiled by Blix Street Records with the support of her parents, Barbara and Hugh Cassidy. The Wall Street Journal praised her "perfect pitch, impeccable timing and vulnerability" and USA Today cited her "emotional ability to reach the depths of any song." These were in evidence during the emotional segment at last night's Emmy broadcast seen around the world. If variety is indeed the spice of life, look no further than a slew of September releases featuring the far-flung likes of Jeff Lynne's ELO, Los Angeles-spawned rockers Los Lobos, British quartet Duran Duran and a special reissue of the first "Mystery Science Theater 3000" featuring an infamous B move with an appearance by Little Richard and several other early rock acts. Tell me more: There is little doubt that Jeff Lynne and Electric Light Orchestra (better known as "ELO") are back. In September 2014, singer-songwriter-guitarist Lynne and ELO performed before 50,000 fans at Hyde Park as part of BBC Radio 2's "Festival In A Day." The wonderful event has been fully captured on a new concert film that finds Lynne and company delivering epics versions of more than a dozen ELO classics. The uptempo "All Over The World," '70s-styled rocker "Ma-Ma-Ma Belle," masterful BBC Concert Orchestra showcase "10538 Overture" and sweeping "Mr. Blue Sky" are among the great songs performed. Lynne also pays tribute to his late friends Roy Orbison and George Harrison with a poignant take of the Traveling Wilburys' "Handle With Care." Live in Hyde Park is available on DVD, Blu-ray and digital formats. The bonus features on the title prove to be icing on the cake to be sure. Information: eagle-rock.com. Tell me more: Whether performing rootsy rock, folk, blues or Tex-Mex rock, legendary outfit Los Lobos displays a creative wide-ranging spirit across the aptly-titled Gates Of Gold. Things lead off with the infectious roots rocker "Made To Break Your Heart," but the band turns things around with a wistful track ("When We Were Free") that blends rock and free-form jazz. No matter whether playing blistering blues rock ("Mis-Treater Boogie Blues," "Two Small Heart"), traditional Mexican music ("Poquito Para Aqui," "La Tumba Sera El Final"), Americana ("Gates Of Gold," "Song Of The Sun") or acoustic blues ("I Believed You So"), long-time members/songwriters David Hidalgo, Louie Perez and Cesar Rosas have an otherworldly ability to ensure all the sonic elements fit together perfectly. Information: 429records.com or loslobos.org. Tell me more: More than 35 years into their run, British group Duran Duran remains relevant, mixing the best of their early '80s New Wave synth sounds with modern-day dance stylings via contributions from several guest vocalists and musicians (including former Red Hot Chili Peppers guitarist John Frusciante) on their latest album Paper Gods. The heavy dance gem "Last Dance In The City" features Duran Duran frontman Simon Le Bon sharing vocals with Canadian singer Kiesza; equally propulsive is the disc's first single "Pressure Off" featuring Duran Duran joining forces with soul-funk singer Janelle Monáe and former Chic guitarist Nile Rodgers. Duran Duran turns in one of its greatest-ever ballads with the tender "What Are The Chances?" (Le Bon's voice sounds better than ever), while the blend of electronica and pop on "Only In Dreams" and "The Universe Alone" are enhanced by several experimental flourishes. Information: duranduran.com. Tell me more: Shout! Factory has reissued an expanded version of its long-out-of-print Mystery Science Theater 3000: Volume 1 collection. The groundbreaking movie-mocking TV series never got it wrong in terms of selecting choice B movies to skew, while interspersing the film with skits and songs that featured original and intelligent comedy in spades. Volume 1 kicks off with an episode featured in Season 2 of MST3K, the 1967 beach party film Catalina Caper noteworthy for its appearance by rocker Little Richard singing "Scuba Party," a song he co-wrote with film composer Jerry Long. Often forgotten too was a performance by The Cascades singing the Ray Davies-penned "There's a New World" on screen and Mary Wells singing the song "Never Steal Anything Wet" over the closing credits. Other choice Crown International Pictures clunkers featured on "Volume 1" include Bloodlust, The Creeping Terror and The Skydivers. Information: shoutfactory.com or mst3k.com. 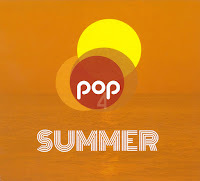 Tell me more: There are joyful echos of Electric Light Orchestra, The Beatles, Matthew Sweet, Moonpools & Caterpillars and a wide range of melodic rock icons across the aptly-titled Pop4 release Summer. The 16-track power-pop collection definitely conjures up long, warm summer days with a plethora of bright melodies and harmonies. Highlights on the album include the a capella "I Will Become Love," the driving "Blow Wind Blow," ELO-mining "Einstein and Sunshine" ("Mr. Blue Sky" is an obvious rhythmic reference here) and baroque pop standout "You're No Aimee Mann." Information: facebook.com/pop4musicquartet. 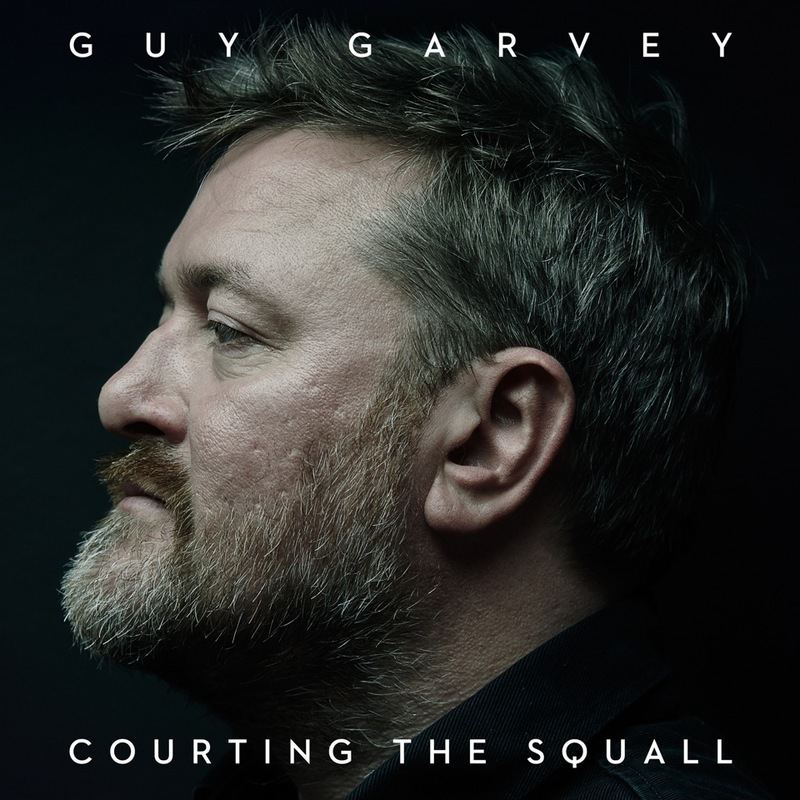 Guy Garvey announces debut solo album "Courting The Squall." reveals new track "Angela's Eyes"
After nearly twenty five years and counting as a member of elbow and one of the world’s most recognized and celebrated musicians and lyricists, Guy Garvey is setting off alone for the first time. Today, the esteemed artist revealed his first track “Angela’s Eyes,” taken from his solo debut “Courting the Squall” which is due for release in Spring 2016 in North America. “Angela’s Eyes” is available now in the U.S on Spotify. Recorded initially at Real World Studios near Bath, U.K and completed at Blueprint Studios in Salford, U.K, “Courting the Squall” features a band created by Guy from his “favourite musicians outside elbow’” and was driven by spontaneity and experimentation amongst the assembled players with Guy firmly and exclusively in the driving seat. The band “moved fast and drank a lot,” focusing on live recording with minimal overdubs to create the songs. Unlike elbow, where democracy has always ruled, this is an album where Guy embraced the freedom to do exactly what he felt throughout. “Courting the Squall” is powered by influences and ideas that “don’t fit the elbow template.” Some tracks, notably “Angela’s Eyes,’” come completely from groove, finding a sweet spot between Manchester’s baggy past, long term love Tom Waits and Bowie’s mid-70’s albums, particularly “Sound and Vision.” This change of type engendered a change of vocal approach, a clipped and more direct Garvey voice coming across, a hark back to his early days writing lyrics influenced by his listening to hip-hop where short delivery carries rhythm alongside meaning. Lyrical concerns encompass those familiar to Guy’s past work at times, the big themes of love and friendship, the lure of his Northern homeland but tracks and lyrics were not always pre-planned. On one occasion a bird observed from the window of the recording studio became the catalyst for the music, at other times a loose jam approach crystallized both lyrically and musically into a finished composition. There were no rules. Having guested on various artist’s albums as a vocalist, “Courting the Squall” sees Guy duet on his own music again with the likes of Jolie Holland, conjuring up images of illicit jazz dives in fin de siècle Paris or prohibition era New York. It is, as with all solo albums, a glimpse into its creator’s soul. Shot through with warmth and emotional intelligence, content and comfortable in its own skin, “Courting the Squall” is that most unique thing; a record made without preconditions, an album of songs made purely for the joy of its making. Guy Garvey plans to return to North America in early 2016 along with the release of this highly anticipated ”Courting The Squall” release. For now, listen to “Angela’s Eyes’” exclusively on Spotify. 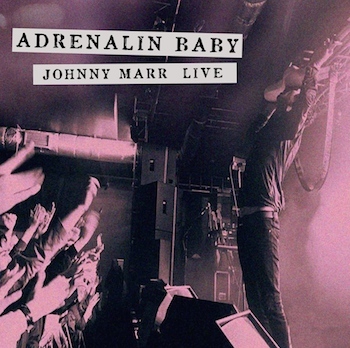 Johnny Marr will release his debut live solo album Adrenalin Baby on October 9, 2015. Adrenalin Baby documents his energetic live performances over the past three years across a double album. Playland / The Right Thing Right / Easy Money / 25 Hours / New Town Velocity / The Headmaster Ritual / The Messenger / Back In The Box / Generate! Generate! / Bigmouth Strikes Again / Boys Get Straight / Candidate / Getting Away With It / There Is A Light That Never Goes Out / Dynamo / I Fought The Law / How Soon Is Now? Alligator Records has set a November 6 street date for the vinyl-only release A Blues Christmas. The album is a new compilation featuring the best of Alligator's two previous holiday CDs, 1992'sThe Alligator Records Christmas Collection and 2003'sGenuine Houserockin' Christmas. All tracks on A Blues Christmas have been remastered to bring out every nuance of these classic performances. 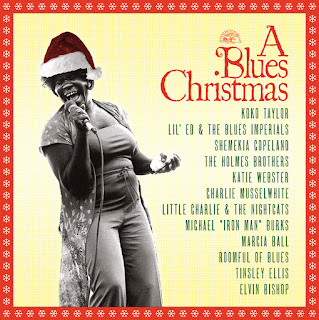 A Blues Christmas is the first LP to ever be graced with the genuine holiday-rockin’ music of Koko Taylor, Charlie Musselwhite, Shemekia Copeland, Elvin Bishop, Marcia Ball, Michael “Iron Man” Burks, The Holmes Brothers, Lil' Ed & The Blues Imperials, Katie Webster, Little Charlie & The Nightcats, Roomful Of Blues and Tinsley Ellis. Roomful Of Blues - Santa Claus, Do You Ever Get The Blues? On October 16, Danny Gokey will release a collection of holiday songs entitled Christmas Is Here. 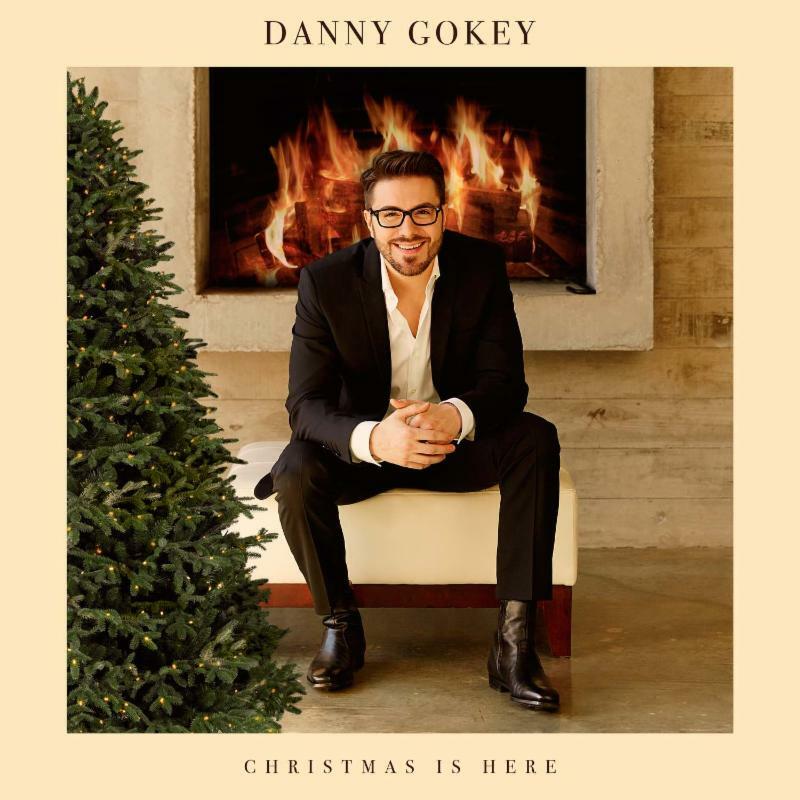 Recently nominated for the Dove Awards 2015 Song of the Year & New Artist of the Year, Danny follows up his #1 selling sophomore album Hope In Front Of Me, with this finely crafted album featuring original songs and holiday favorites such as "White Christmas" and "Mary, Did You Know?," - all of which showcases the depth and breadth of Danny's artistry as a songwriter and vocalist. Produced by award-winning music legend Keith Thomas (Burt Bacharach, Amy Grant, The Jam), Christmas Is Here infuses Danny's soulful sound into many of the classic songs of the holidays that will make this anticipated holiday album a fan favorite for years to come. "My fans have been asking for a Christmas album for years, telling me my voice would be perfect for these songs. Everyone had their favorite songs that they wanted me to include, so we tried to get in as many as possible" says Danny. "I'm really proud of the way it turned out. Christmas is one of my favorite times of the year and it's really fun to be able to share it with my fans in this way!" Each song on Christmas Is Here reverberates with the emotional honesty and life-affirming messages that have become hallmarks of Danny's music. On Monday September 25th, Danny will release the album's first single "Lift Up Your Eyes," a new classic - written by Danny - that can stand alongside holiday favorites thanks to a voice that catapulted Danny into the homes of millions. Music has shaped Danny's life, providing a sense of purpose and direction. Since earning two chart-topping albums and a Barnes & Noble Top 5 autobiography, Danny launched Sophia's Heart, an organization founded to provide hope and help to homeless families in crisis. Danny is proud of the way Sophia's Heart has expanded to care for a growing number of families each year, including a thriving inner city Music & Arts program in Danny's hometown of Milwaukee, WI. Danny has toured with Taylor Swift, Sugarland, along with other high profile acts, and to promote Christmas Is Here, Danny is now on a 3-month tour that includes headline dates, a slot on this year's Beating Hearts Tour and a 16-date Christmas tour in December. Tour dates below. Stay tuned for new music and a lot more news! 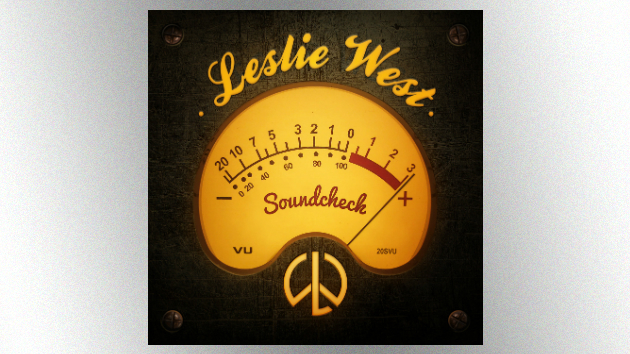 Leslie West and Provogue Records, a division of Mascot Label Group, have announced a November 20 release date for Soundcheck. The title is West's sixteenth solo album, following 2011’s critically acclaimed Unusual Suspects, which featured contributions from such accomplished guitarists and close friends as Billy Gibbons, Slash, Zakk Wylde, Steve Lukather and Joe Bonamassa, and 2013’s Still Climbing, which included blistering duets with the late, great Johnny Winter, Jonny Lang and Mark Tremonti. For this new release, West lays down some of his most inspired musical magic to date with the assistance of true rock royalty: the renown British guitarists Peter Frampton and Brian May, ex-Jeff Beck keyboard virtuoso Max Middleton, vocalist extraordinaire Bonnie Bramlett and the late great Cream bassist and longtime friend of Leslie’s, Jack Bruce. Back in 1972, Leslie made musical history with Jack when they joined forces to form the super group West, Bruce and Laing. Soundcheck is co-produced and engineered by West's collaborator Mike "Metal" Goldberg, who he shared, "helped me get my sound down on 'Tape' as they used to say, and did an amazing job as he always does." Leslie West (born Leslie Weinstein, October 22, 1945) first gained worldwide recognition in 1969 as the guitarist and singer in the groundbreaking rock band Mountain. West’s wholly unique sound, distinguished by beautifully melodic phrasing, his slow, wide vibrato, and a crushing guitar tone set the standard in the late sixties and early seventies for blues/rock guitar playing of the highest order. Along with the hugely influential Top Ten hit “Mississippi Queen,” his brilliant guitar work serves as the driving force behind the Mountain classics, “Nantucket Sleighride,” “Never In My Life,” “Don’t Look Around,” “Blood of the Sun,” “Dreams of Milk and Honey,” and the incredible Jack Bruce composition, “Theme For an Imaginary Western.” That one-of-a-kind signature guitar sound propels Soundcheck throughout, evidenced by such powerful tracks as, “Left By The Roadside to Die,” “Here For the Party,” “Empty Promises--Nothing Sacred,” “Going Down,” “Spoonful,” “A Stern Warning” and five other stellar songs. A standout track from this new release is “Going Down,” which features guest appearances from Queen guitarist Brian May, along with contributions from Bonnie Bramlett and Max Middleton along with legendary session players David Hood on bass and Bobby Whitlock on organ. “We did that track about 10, 11 years ago,” Leslie details, “and we had Max reprise his amazing intro from the version he’d done with Jeff Beck on The Jeff Beck Group album. I play the first guitar solo [up to 2:48] and Brian May plays from there on out. And vocal harmonizing with Bonnie was fantastic. Everything in the track came together and worked out really well.” West's old friend Jon Tiven, who produced Wilson Pickett and Don Nix, provided the original master tapes for West to track vocals on. West shares, "When all your ducks are in a row, things get magical." West has been performing since 1965, when he fronted the soul-fired Vagrants in his native New York City. Rolling Stone placed him at #66 on their list of the “100 Greatest Guitarists.” His repertoire continues to be relevant with enduring appeal to this day as top selling rap recordings are built around samples from “Long Red,” which appeared on the Mountain album. Jay-Z tapped the tune for his 2004 mega-smash “99 Problems.” So did Kanye West, for "Barry Bonds" and “The Glory," and Common’s “The People,” along with others. Lana Del Rey sampled West's voice and features it in the beginning, middle and end of the worldwide smash "Born To Die." His repertoire continues to be amongst the most sampled amongst all songwriters.